What would happen if our cities all followed the example of Sao Paulo? Can you imagine McDonalds without its famous golden arches, or Nike without its ever present swoosh? Imagine if you lived in a world wiped free from ads – how exactly would that look? As it turns out this is not a new concept. Back in 2011 the city of Sao Paulo, Brazil made a decision to completely ban outdoor advertising. This meant eliminating all billboards, posters banners and signs that could point towards any particular business. One can easily imagine that such a feat would be rather difficult, especially in a major city. But the city has managed to eliminate all forms of marketing outdoors. 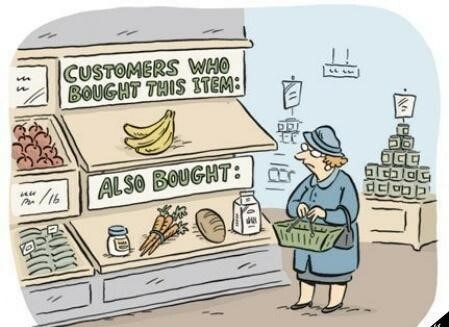 In-store marketting is a series of techniques used by companies to coerce you into buying more product, especially things you didn’t come for. Product Placement : How much do you know? Have you ever noticed how all the products in our lives show up in TV shows and movies? That’s no accident. In fact, companies pay thousands of dollars to have their products in blockbuster films and hit TV shows. They do this to remind you of their product, to make you think about it, to want it. This is called product placement.